When it comes to Nintendo Switch there's been a fair amount of hype, but also some question marks over the ideal pricing to truly get it flying off shelves. Early pre-order allocations have been selling out in various territories, but in some countries the system still isn't too hard to find. In fact, it seems that Amazon France is competing to offer the best price it can to shift its allocation. Nintendo Life reader Natzore pointed us to the retailer, which still has pre-orders open, and is asking €299 for the system, while a system with The Legend of Zelda: Breath of the Wild also offers a small saving at €349.99. It's interesting to see a dip like this, especially as French GameStop subsidiary Micromania is still charging the standard €329.99. Amazon Italy is also in this price range, though Amazon Spain is charging €319. Prices are wobbling around a little in Europe, then. Let us know the state of affairs where you are in the comments below. Difficult to know if the "standard" retail price hasn't been pushed by nintendo yet, or if they won't be one and it's just plain old competition between companies. 329 for the neon console here in Ireland and most definitely will not drop. Time for a coup de gravy! I doubt Amazon Italy will dip below 320€ when GS Italy set it at 329,98. I got mine with 10% discount on Media World so I'm happy with 297€. Amazon France and Spain always gets cheaper than other Amazon for preorders. Is "oh la vache" is a French swear in the same vein as the Italian "porca vacca" ("swine-y cow!")? Just asking. In Russia it is approximately 350 for console and 70 for Zelda, which is extremely strange, since Russia has lower buying ability than some other European countries. @diwdiws I will believe the fact that supply is higher than... anything, when I see it. 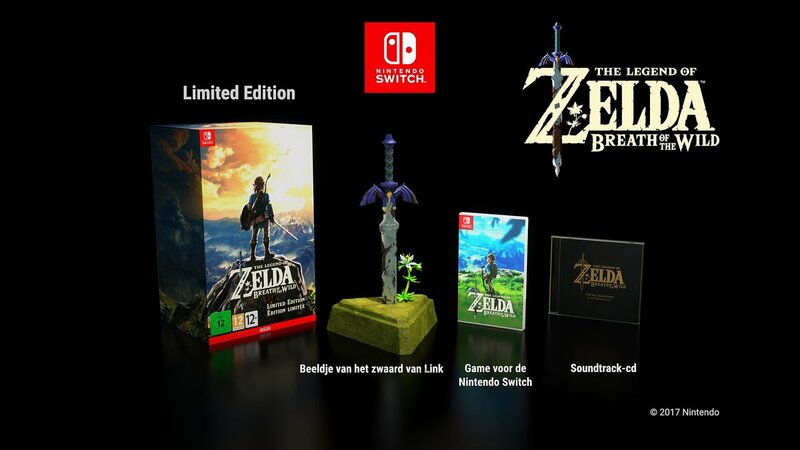 I preordered the grey version several hours after the presentation for €309 in the netherlands. Later that day they were being sold for €329 on the same website. I'm glad i took the day off. @AlexSora89 I'm French. "oh la vache" isn't an insult, it's more like an exclamation, like "holy crap". that's quite a big drop. Amazon UK next please? Praying for a UK price drop before launch. @NickOfTime90 So you too preordered at Media Markt? @Snader Actually it was at bol.com. So the same situation at media markt eh? So that's like the Italian expression I mentioned. Merci, trés gentile! Can't believe that Wii U still hasn't seen a price drop in how long now? Sadly 1430 zlotys (€330) in Poland. Gotta love Amazon's pre-order price guarantee. this is £255, would be a better price in the UK, system and zelda for around £300. @NickOfTime90 Yeah, I got one. And also the Limited Edition Zelda BotW. As an American it seems weird that European countries are always making such a big deal about the "European Union" and the Euro and how England is making such a big mistake getting out. But despite all of the EU togetherness and using the same currency the Euro every single country seems to have its own price for the same device. I'm sure there's a lengthy logical explanation, but it just seems weird you all using the same currency but all paying different prices. Australia, Canada, Mexico, Russia, Japan I get, but Germany, France, Italy, Spain, it's the EU, using the Euro, all operating under "Nintendo of Europe", pick a Euro price. I do get different retailers having different prices, capitalism and competition I get, but what's the point of the EU and the Euro if everything has different prices anyway, might as well just use your own currencies, no? I can't blame England for bailing. Please, nobody respond w/ a lengthy explanation, it was just what I noticed as odd, I don't need to take "European Economics 101". I'm sure all Europeans think it odd that the US has a set MSRP of $299 and almost every retailer everywhere will hold fast to that 1 price. There will be lots of GC, "free" things and other enticements as retailors battle it out for our $, but the $299 will be a fairly constant baseline. I do understand everybody complaining about the price better now though, anything over 299 whatevers is probably going to seem like a lot for a gaming console in March. They hit 29,850 in Japan, probably should have kept at it 300 in as many locales as possible. Canada and Australia do seem SOL though, as always. @Snader which version? I didn't know those were available in NL. @rjejr There doesn't have to be a lengthy explanation of why the prices are a little different between European countries... while there is a shared currency, the finances aren't fully integrated yet. Basically the Euro is currently half-done (half-arsed). Imagine Canada adopted the US Dollar but didn't adopt any other US finance practices, their dollar would be worth a different amount (at least inside Canada) eventually. As for Brexit... that's a different thing that would require a long boring post. About a hundred thousand different opinions on that. @rjejr Funny is we didn't used to be SOL in Canada, so we're feeling it quite a bit. I get currency fluctuations, but this is horsedung! When we used to pay the same for the Wii U to paying $80 more for the Ps4 to now paying $100 more for the Switch, and now $80 per new release (AAA). I'm a French who pre-ordered on Amazon and I'm very happy since I saw the price drop yesterday... 299€ seems like the correct price from the beginning over here (but who know, since the initial price of 249.99 on launch day, Amazon.fr has dropped the price to 229.99, then 214.99 and now 299.00... Maybe they will pay us who pre-ordered when they will finally ship the thing lol). It's 2800kr. her in Denmark. That's a full 600 more than Wii when that launched, but considering what is included in the box, it might be too much. The dollar is really strong right now as well, and European prices tend to follow and american example. Well, here's to getting people's hopes up of a local price drop. I think the Switch could do with an adjustment here in the UK... we've already seen accessory prices drop from all the retailers that added their "own cut" into the currency conversion working out people aren't that dumb anymore. Would be good to see the console itself come down a bit. IMO I think Nintendo should put a more competitive price around Europe. I think is too high as of now. $300 for US is kinda fine, I wish it was $300 after tax though. Amazon.baguette never lets me down. Enjoying all the little Bravely Second references int eh comments, even if some were unintentional. Like everyone and their dog (and their dog's squeaky toy) I'd love to see a little price cut in the UK; maybe to £269.99 or that magical £249.99 but if stock has sold out or sold really well, I doubt their gonna drop the price any further at the risk of reducing income. At the very least there was a small race to reduce accessory costs a bit. Nintendo said that they'd leave costs in Europe up to "someone else?!" but even the stores had to have a starting point right? £249.99 is the magic spot. But I'm sure it will be a £299.99 bundle with Mario come Christmas. It needs to be priced at €250 to have mass market appeal. Pretty sure I won't be buying it at launch even though I have it pre ordered. @rjejr - Being from the UK I can't be 100% certain but each European country in the Eurozone still sets their own tax rates, so there could be natural differences before even looking into different marketing strategies. EG - Price reductions in the UK are seen as good by the consumer but bad in Germany. So the price in Germany may stay the same regardless of sales, but in the UK game prices are dropping like stones when sales are bad. As was mentioned before, the Euro currency is half baked until there is more political union. But that's a whole different kettle of fish. @MarvinTheMartian Indeed, tax rates etc. are some of the financial practices I meant in my earlier post. Getting the simple/precise balance right isn't always easy when the person your message is intended for has formally announced their lack of interest. A full fiscal union within the EU is something that has been talked about for quite a while, but is something very difficult to pull off. Just looks at Greece (was as close to tax free as a country gets)... could you imagine them suddenly adopting Germany's tax rate? All those EU scare stories during the Brexit debate were pretty unrealistic. @Snader Nice! I preordered the base game and the 5 amiibo for botw. @rjejr European prices include taxes. American prices don't and every state has its own taxes, leading to different prices. So in the end it's actually pretty similar. Furthermore, there's all kinds of differences between European countries when it comes to the costs of doing business. If it's way cheaper for Nintendo to distribute and sell a product in Italy than in Denmark, that's probably something you'll see reflected in their respective prices. That's £254 with today's exchange rate and free postage to UK. Just the console is around 375€ to 380€ in Finland, so I'm going to save some 50+€ with the faster postage selected! Even Zelda is over 10€ cheaper at Amazon France. Hopefully I won't have to wait too long (theyr'e promising 2-4 days delivery, although the weekend will prolong that) but at least I'll have extra money for another game or other goodies..
United States (Pittsburgh Pennsylvania) here. This is the first I heard of price dips... interesting. I think for the most part America is use to high prices. 299.99 is the sweet spot here without any reason to dip the price. Preorders are all reserved anyway. If anything, I wouldn't be surprised if Toys R Us would be granted a short preorder option in stores soon towards the release day of the Switch. They're the only ones who haven't done it yet in store but online only I think..
@Estrallion The pre-order allotment sold for 349€ at Discshop . fi, but those wen't super fast! No guarantees that the next batch will be as cheap. @rjejr It is beginning to be acknowledged in some quarters that the Euro and Central European Bank were a mistake, but the UK kept the pound and have done very well out of the EU system. Leaving the EU seems to be for reasons other than simple economics, immigration and greater sovereignty in law-making, for example. It still could be devastating if we revert to standard import taxes through lack of trade agreements. That's at 40% for all goods and manufacturing only accounts for 10% of UK economic output so we are kind of dependent on imports. That and the idea of rescinding the European Convention on Human Rights is a major concern for me. But, enough of that! I may look to Amazon.fr for games and accessories. Also worth pointing out that the French economy is not too rosy with youth unemployment around 25% recently, so perhaps prices reflect that too, I don't know. @Yasume I would say still €50 too much. The Japanese price is ¥29,500, which equals about US$257 right now, and €250 equals about US$266 right now, so... Yeah, €300 is still overpriced. Even US$300 is overpriced. I'm going to wait a year or so for a 3DS type of early price drop. I don't think the NS will sell too hot outside Japan beyond the first few months, with all these inflated prices. We could see a repeat of 2011 happen here, and if not this year, then post-holiday 2017. I honestly don't understand the complaints about price. I recently bought a New 3DS XL for $200 and it didn't even come with a charger. The Switch is better in EVERY WAY and is DOES come with a charger and a dock to attach to the TV and the controllers are detachable and it comes with 2 controllers in the box so you can play 2 player on the go without buying more accessories and it's only $300. The Wii U is still $300 and the Switch is better in every way and it's the same price. How is the Switch not a great deal??? I didn't hesitate to pre-order my Switch. It is a great deal. Still to expensive, but it is a start! As others have pointed out, the Canadian prices are just awful. I understand that out dollar is weak against the US', but our wages aren't compensated . We more or less make the same as Americans. So I literally have to pay more than $100 extra after Nova Scotia's 15% sales tax for the system alone just by virtue of living in Canada. @leo13 Good points especially when thinking of it as just a portable. It's all in how you look at it. Certainly the library is already huge on the 3DS and you have the dual screen with one being 3D, but it's also more cramped, has a nub for one of the analog sticks. Furthermore it did not come close to matching the performance of its 4-year older console companion (the Wii) when it launched. The Switch actually beats it's 4-year-old console companion. It's not all apples-to-apples obviously. The 3DS is more portable and that holds real value. (Making things smaller is usually more expensive, too) But it's worth comparing these prices on multiple levels and everyone is going to use Nintendo Switch differently. @leo13 1. Nintendo has been skimping on the superior IPS (in plane switching) top/bottom displays for normal editions and special editions of both New 3DS XL and New 3DS. They're ripping people off with all of these cheap, poorly calibrated, washed out TN (twisted nematic) displays. Only 2DS and certain cheaper editions like the Black Friday $100 New 3DS should be using specially calibrated TN displays on new stock at this point. 2. Nintendo left the Wii U in the same price bracket for far too long. It should have been in the $200-250 range New by now, depending on whether it's in a bundle or not. Ever since 2015, the Wii U has been in the completely wrong price bracket, sharing it with the PS4 and XBone. Nintendo completely screwed up with the Wii U's pricing over time, so it's not a valid comparison at $300 New compared to an NS. 3. Using one JoyCon per player is a very anemic control scheme. It'll only work on smaller games like 1, 2, Switch (Fail), NES games, and simpler indie games. That won't work on pretty much any new games (edit: besides Mario Kart 8: Deluxe, although that's an enhanced port), or even tech demo games like ARMS. You need at least two JoyCons or one Pro controller per player to really have multiplayer options open. At $70 or $80 per player after the first, that gets really expensive. Even a proper basic two player setup from scratch is actually $370-380. There are PS4 and XBone multiplayer bundles cheaper than that. I'm willing to bet that "floating" $50 in different territories is related to a lot of fluctuating market conditions. The new administration in the US is threatening tariffs that may directly effect the Switch, for instance. People don't tend to regard that stuff, but Nintendo hasn't been ignoring it. I do see a few retailers taking a small price cut, or offer bundles or special deals...which is why I'm waiting until the day it actually comes out to get one. So far, here in the US, the only (and it's an okay deal) is Gamestop with trading in the PS4 or XBONE or WII U and get a certain amount of money off...other than that, I don't really get why people would trade in any one of those systems to get a hundred dollars off the system...especially if you've spent enough on the online stores...not worth it. However, I'm waiting to see if Walmart, Target or even Best Buy has any good deals on it. @aaronsullivan That's a fair point, and it's one that cleveland124 (I think?) has informed me about. The typical customer won't notice that, though... They'll just notice a powerful Nintendo portable console that is more expensive than a regular PS4 or XBone. And yes, we know what the NS really is, but does the general public? @leo13 I've been saying and wondering that too...if someone went out and bought a handheld and then a console...it's way more than $300, so I don't get the big deal out of the price either. Plus, if people think the price is too high, have them wait until black friday deals, holiday deals or possibly a year or two for the prices to go down. Using one JoyCon per player is perfect for the type of games you'll be playing in that scenario. I noticed you didn't mention Mario Kart 8 Deluxe in your argument. PS4 and XBone don't prop up on a stand and play with batteries anywhere you want. No screen included for instance. Throw the portable screen and battery in there if you want to compare prices. @leo13 still has a good point. It's not about some objective price comparison that works for everyone. The Wii U, for instance. If you want to play modern Nintendo games on a TV that is your only other option and is a fair comparison. It's all subjective. Sure, Switch is overpriced for many, many people. Every launch of every console is overpriced for many, many people. @PlywoodStick For many, the market fluctuations will be comparable with whatever else they are considering buying instead of a Nintendo Switch... maybe. Still, that's getting pretty tricky to formulate into anything useful because the wide breadth of entertainment options and where they are sourced from and how they are distributed is more varied than any time in history. @aaronsullivan Well, another foible enters into that situation: are the players using an L or R JoyCon? Neither their tech nor their stock will be created equal. The R JoyCon has the IR and NFC port, and most people are right handed, which will lead people to buy extra R JoyCons more often than L JoyCons. What's going to happen when stores inevitably sell out of one or the other? PS4 and XBone users don't have to worry about potentially having half of their control scheme not being available to purchase for multiplayer setups. The portability of the NS is important, but that aspect of a hybrid console has not yet entered the mind share of the greater public. Meanwhile, the idea of using a PC or home console in one place and using a mobile device while out and about is the dominantly accepted cultural paradigm at the moment. Nintendo is only going to have an uphill battle creating their own paradigm shift, but that is indeed the task they have set forth for themselves. So we'll see in that regard. I wonder why they are doing that? could it be pre-orders have been cancelled? @leo13 That's strange, I thougt the price was around 169€ currently. I got mine two weeks ago at that price in a supermarket. I'm sure that's the price Nintendo want and intended it to be. When the pound goes back up this will be very handy! @PlywoodStick You really think they should have just dropped the price of the Wii U? You do realize what happens to companies that sell everything at a loss don't you? I recently heard an interview from a Wii U developer and she was very specific that even now at $300 Nintendo loses money on every Wii U it sales. Why do you think they killed it instead of allowing it to live on like they are doing with the 3DS. @Rei I have no idea what 3DS and Wii U are doing in other countries. I just know right now they are $200 and $300 in the USA. And for me the Switch price is perfectly acceptable. I doubt it. It's better if you preorder from Amazon France if you want to save around 20€. Your Amazon Italy account will work on Amazon France. Shipping is like additional 6,50€ so it will be like 310€. You won't get it on release day though. But you'll receive it by Martedi o Mercoledi. So looking at the field of competition, it's just that those hyped machines of Sony and Microsoft get too much of the spotlight and Nintendo could use a lower price to compete (looking at it as a portable like others said does make it ... a category of one, no doubt, unless someone makes a new Vita like successor, and obviously the next generation of consoles will have the copycat exact same set-up of the Switch (PS5 etc) I assume but you never know). I live in Italy and the console is available only at 329,99€. I preordered it with the limited edition of Zelda. @neufel Playing at Bravely Second i understood that XD!!! @FGPackers Non credo succeda nell'immediato (soprattutto al lancio), però sono convinto che non ci vorrà molto che anche qui da noi il prezzo scenda a 299,99€. Sarà lo standard tra non molto. @dumedum Ok so let's look at it your way. If I compare it to the PS4 (standard not the pro) I'm looking at the same price for both. The PS4, I'm assuming, has better graphics and comes with a game. 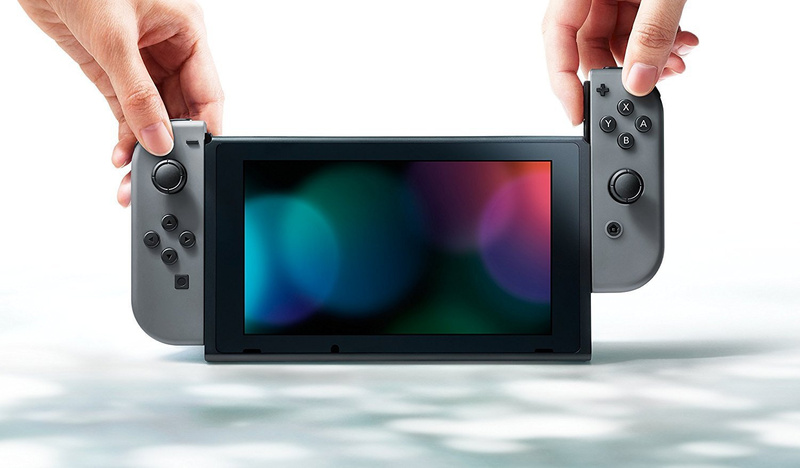 However, The Switch comes with 2 controllers (great for people like me that have families and kids), can be removed from the dock and has it's own screen and battery and can be taken on trips. I don't know about everyone else, but I love taking 3DS/Vita on trips and giving myself something fun to do on the plane and in the evenings in my hotel room and I can take the Switch with me. I'm sorry, but for me the ability to do that is worth WAY MORE then the value of the $60 pack in game. @leo13 Amen. I hope there's a LOT of "you" out there I really hope so. They've sent Media World Award card holders a mail last November or December that includes some discount coupons and Play Credits coupons you can redeem in store or online. I've used that coupon in preordering from their website. It's one-time redeem only and I believe it's tied to an account so it can't be shared. I forgot to add the 700 Play credits coupon on the order though which should have given me "buono di 10€" that I can use to purchase in-store. Luckily the Zelda Limited Edition came up 3 days later for preorder (sold out now) and I used that coupon on it. At the netherlands at Media Markt its 299.99 for the grey and the neon. If you want to save some 18€ and probably more if you order games along with it, buy from Amazon France. Your Amazon Italy account login will work on it. I tried ordering and you'll pay 312€ including shipping on the console alone. Estimated delivery date is Thursday 9th of March though. That 350€ Switch + Zelda from Amazon France is a deal compared to 330€ Switch plus 70€ Zelda if you buy from GS or Amazon Italy. So Media Markt is big huh? I just noticed Media World Italy is owned by Media Markt. @rjejr Do you know that Nintendo of Australia / New Zealand exists? They set the Australian prices, not Nintendo of Europe. Not many people know this but now you do. Europe covers their prices and Australia covers its own prices. This does make your above post factually incorrect. @aaronsullivan Trump will make the US currency so strong that that selling to them will be great. You can get it for even cheaper on FNAC France if you get their card (10EUR for 3 years, just make sure you cancel it before automatic renewal, otherwise it's 30EUR) and use the code SWITCH30 that gives you 30EUR cashback (valid until 29th January). Got my Switch + Zelda for 360EUR and I'm getting 30EUR cashback once my order's shipped Can't wait !!! @the8thark "This does make your above post factually incorrect." In you can point to where I was incorrect I'll edit it, but I think you may have read it wrong. I said EU prices should be the same across the EU, other nations w/ their own currencies should have their own prices. If Australia is part of the EU using the Euro I apologize. Maybe you skipped over the part where I said "I get, but"? "Australia, Canada, Mexico, Russia, Japan I get, but Germany, France, Italy, Spain, it's the EU, using the Euro, all operating under "Nintendo of Europe", pick a Euro price." I just did a Google search and it looks like Australia does use it's own dollar currency, not the EU. If I was incorrect someplace else, as I said above, please let me know. @Sakura "French economy is not too rosy with youth unemployment around 25%"
Things are bad in France too? I only know what the general news tells us, things are going poorly in the PIGS - Portugal, Italy, Greece, Spain. Add France to that list and it seems like Germany and everybody else. So WW3 is imminent huh? @Akropolon @Snader "So if European countries handle different tax rates, it will reflect immediately in the prices you see online." Winner winner chicken dinners. Thanks you 2. My New York 8.675% does add up. Then I subtract my Target Red Card 5% and call it even. @MarvinTheMartian "the Euro currency is half baked until there is more political union"
I'd bet on less EU before more political union. And just be thankful if we all get out of this w/o WW3. 2:30 to go. @RoomB31 Would you happen to know what happened to the CN$? I keep hearing all these stories - I remember PS4 shooting up, and Wii U, but I've never seen an explanation like Brexit or tsunamis or avian flu or anything, everything just went up, never knew why. Not even when Target bailed, I'm a big Target guy, so I followed that news from open until close. I did a few Google searches but all I could find was that it was "inexplicable". Gee, thanks google, that helps a lot. @DanteSolablood Considering I can't figure out what's going on w/ the $ in Canada switching over the the US $ probably wouldn't change things much for my understanding anyway. It's been 32 years since I got a D in Economics. Never took a 8AM college class again. @rjejr I hope it doesn't come down to that 8-O , but yeah, things in France aren't great (it's actually 25.9% youth unemployment, yikes!). I don't keep up as much as I used to - one of my majors was French. Nowadays, I get the headlines from the Le Monde app on my phone and read a few of the more interesting articles. Not sure I'd be welcome in France now. France didn't even want the UK to join the precursor to the EU back in the day and actively campaigned against it. Us leaving is depriving the Union of one of the strong(er) economies. It's also encouraging the rise of the Nationalism in France and in some other member countries. France is not happy and I'm not surprised the reaction to Brexit has been so harsh (completely out, no concessions). No such thing now as a soft Brexit and never was. I can't see how prices of goods won't rise, including video games. No trade agreements means reverting to the WTO 40% default rate. We need 10 years to thrash out trade deals, not 2 years that will likely be reduced in real terms to 1.5. @rjejr I wouldn't worry about it, you don't really need to understand the reasons... all you need to know is that the US & Europe are very different situations. It's like comparing UK/European/Asian football & American football. They're both called football but that doesn't mean they work the same way. $470 in Aus for the grey or the neon. $299 if you trade in your Wii U with a game at EB. Which I definitely will not be doing! Still over prced in North America. I don't know if anyone knows this but Walmart in North America is Charging 169.99 for the recently released Retro NES. Totally rediculous. When did Walmart become Ebay? Then why does it still cost 329€ in Germany (and probably everywhere else in Europe)? It should've been 299€ from the start, just like in the US (and therefore, it should've been less than 299 pounds in the UK to make it fair). @ChosenOne25 nice, really can't wait! @BensonUii huh i did not know that. But its really big, yeah. Here in the netherlands it is the biggest electronics store, i think. 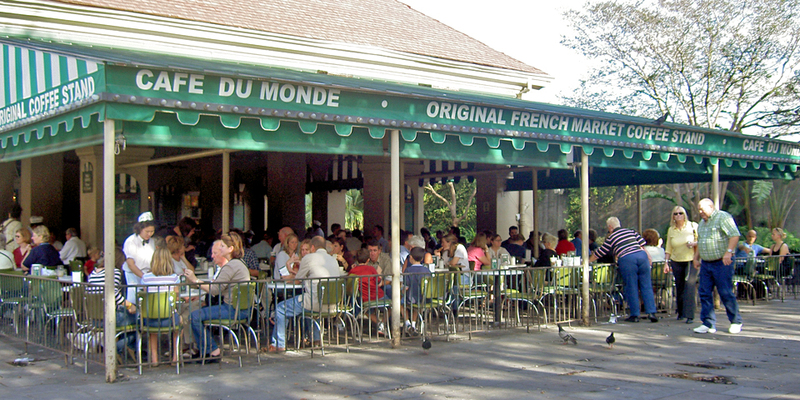 @Sakura Whenever I read Le Monde I think of this place in New Orleans and now I'm craving beignets. Definitely time for breakfast. Good luck. If you have 22 minutes, this TV episode from 1993 is the greatest thing ever, you just have to get past the puppets. If you don't have 22 minutes, really who does?, just watch 90 seconds, 6:00-7:30. @rjejr Big thanks for the YouTube link! Now that was eerily prophetic, both funny and depressing at the same time and definitely worth watching! Best of luck to everyone everywhere it seems these days. @Sakura Glad you enjoyed it, sorry for the depression part, but I figure we all got that anyway, a little more is the price we pay for the laughter.